If you’re reading this blog, chances are that you know a thing or two about the Avalanche Run. You probably already know that it’s the first EarthQuaker Devices delay and reverb to use our new proprietary DSP platform. 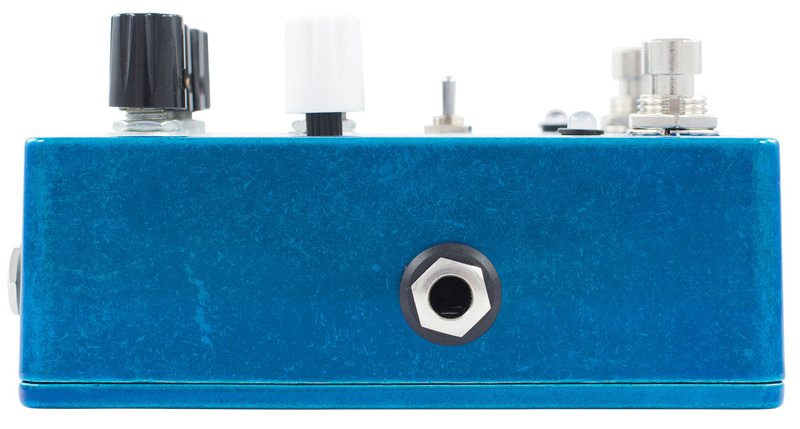 You might be aware that it’s the first EQD to feature stereo ins and outs, tap tempo, and multiple delay modes. And you definitely know that it sounds great on guitar and keys. But what about bass? If the electric guitar is the tip of this ambient iceberg, then there’s enough bass underwater to sink the Titanic. Here’s just a few of my favorite bass-centric sounds in the Avalanche Run. In this month’s examples, I’m playing a 1976 Fender P-Bass into the Avalanche Run and a Tech 21 Sansamp RBI. Let’s dive in! One of my favorite settings on the Avalanche Run isn’t actually a delay at all. 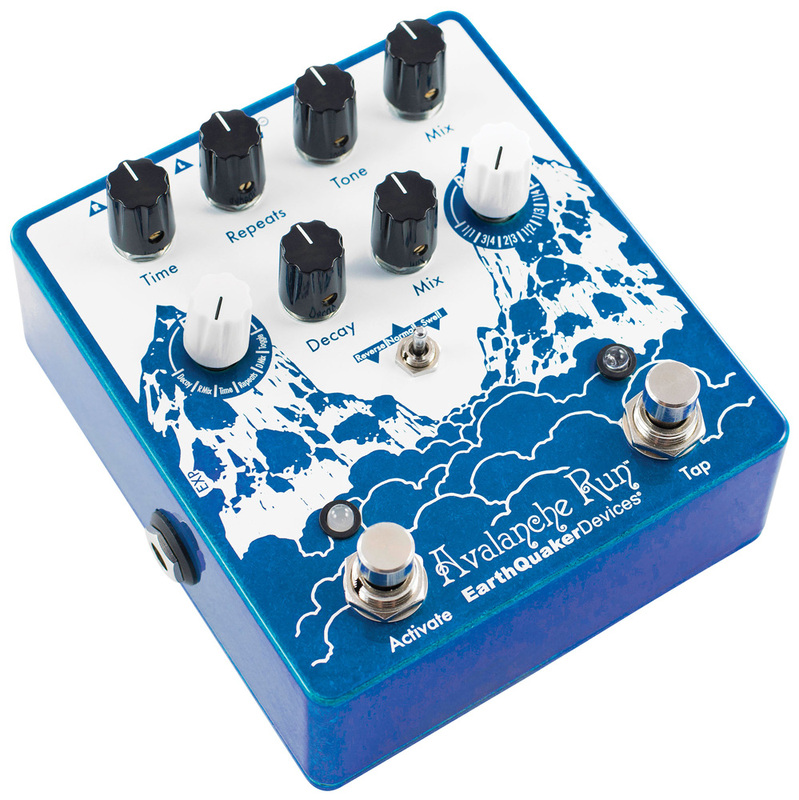 With the Time and Repeats all the way counterclockwise and the Mode switch set to Reverse, the Avalanche Run morphs into a glitched out fuzzy synth bass pedal for ring mod-esque tones. In this setting, the Tone control adjusts the harshness of the ring mod by filtering the high frequencies, and the Delay Mix knob sets the blend of the ring mod relative to the dry signal. Add some reverb via the Reverb Decay and Reverb Mix controls and you’ve created a sound something like an army of robotic Cylons marching around the the rotting hull of the Battlestar Galactica (Example 1). Perhaps the most useful component of the Avalanche Run’s tap tempo functionality is the Tap Ratio selector. All you have to do is tap in the quarter note value of your tempo, and the Avalanche Run will subdivide your input to create dotted eighths, quarter note triplets, eighth notes, eighth note triplets, or sixteenth notes. I’m somewhat of a purist when it comes to using time-based effects on the bass guitar, favoring short slapback echoes over longer delays, but this feature guarantees that no matter the time signature, the bass stays right in the pocket with perfectly timed delays (Example 2). When using the Avalanche Run in Normal mode, holding the Tap switch activates self-oscillation. The sonar-like warbles at the end of Example 2 come from manipulating the Time control while holding down the Tap switch. This one’s for the shoegazers. In Reverse mode, you get backwards delays mixed with forwards reverb for maximum dreaminess (Example 3). What I like about reverse delays is that the transient of each note played swells up at the end of the repeat, so that each note in the dry signal rings loud and true before being swallowed up by the effect. Holding the Tap switch while in Reverse mode reverses the effect yet again, allowing you to switch between normal and reverse delays. The Tap Ratio is hardwired at 1:1 in Reverse mode, but the subdivisions still apply to the forward delays. Experiment with different settings for some exciting rhythmic shifts! Bassists, what are your favorite Avalanche Run applications? Leave a comment and let us know! 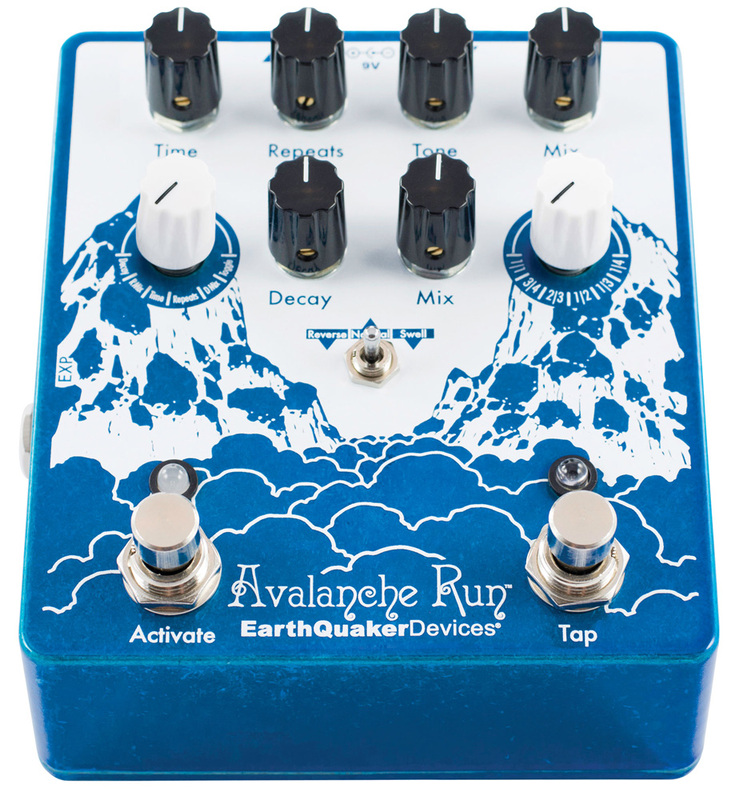 Aaron Rogers is a Circuit Builder, Blogger, Blog Editor, Content Marketer, Copywriter, Social Media Contributor, and Trade Show Rep at EarthQuaker Devices. He also works as a freelance live sound engineer and rock and roll stage manager. He plays the bass guitar in Ultrasphinx.